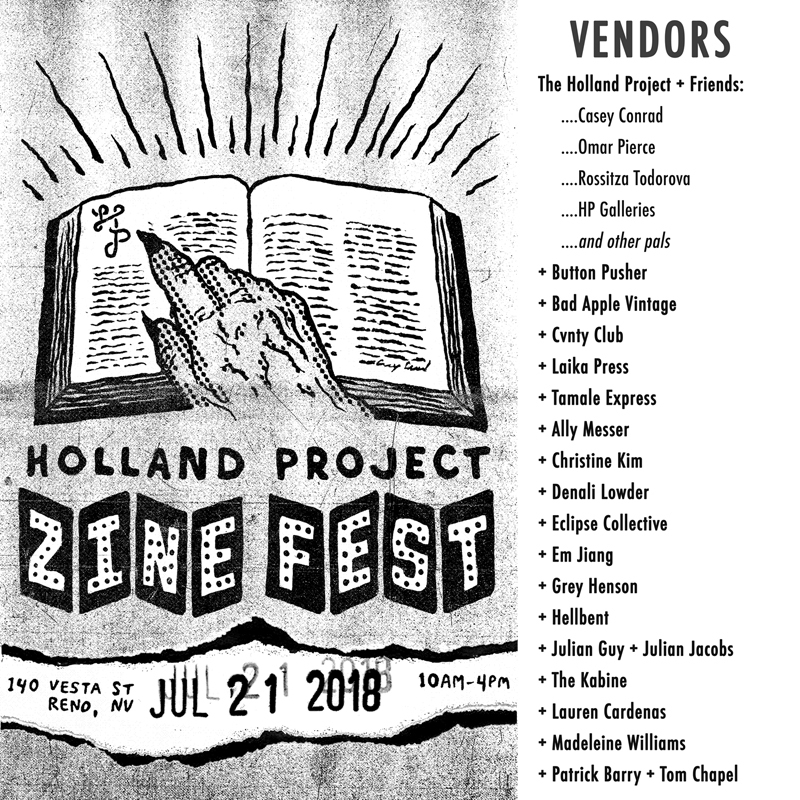 In 2018, the Holland Project Galleries introduced the very first Holland Project Zine Fest as an opportunity for zine lovers and makers from far and near to come together, hang out and buy/sell/trade/share zines. Over 15 vendors hawked their wares on July 21, 2018 with special DJ sets courtesy of KWNK 97.7 and food and drink from Magpie Coffee Roasters and Tamale Express. The 2019 Holland Project Zine Fest will occur in June 29, 2019 with vendor applications starting in Spring. Stay tuned!